On Saturday I went to Kamakura City just south of Tokyo. The area close to the Pacific Ocean is known as Shonan and is a favorite vacation spot for stressed out Tokyoites. 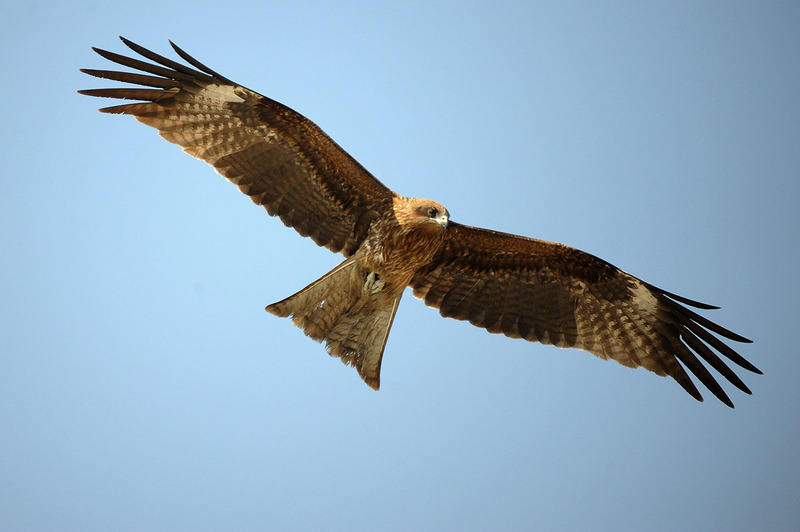 It’s also the home of a large population of tobi, or Black Kites, in English. 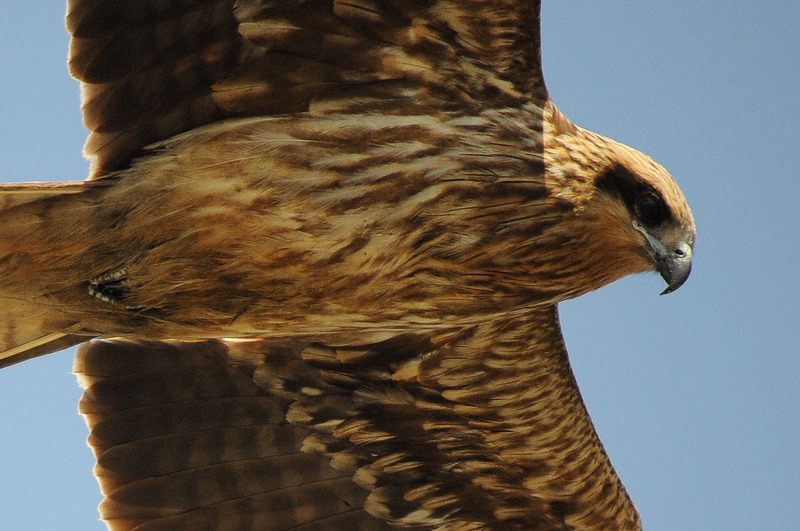 It’s the most common bird of prey in the world and normally they prey on fish. But in this area they are much more interested in raiding the bento boxes (packed lunches) of beach goers. I was photographing the birds circling over the beach and I had my camera set to overexpose to catch the contrast between the bright blue sky and the dark undersides of the birds. 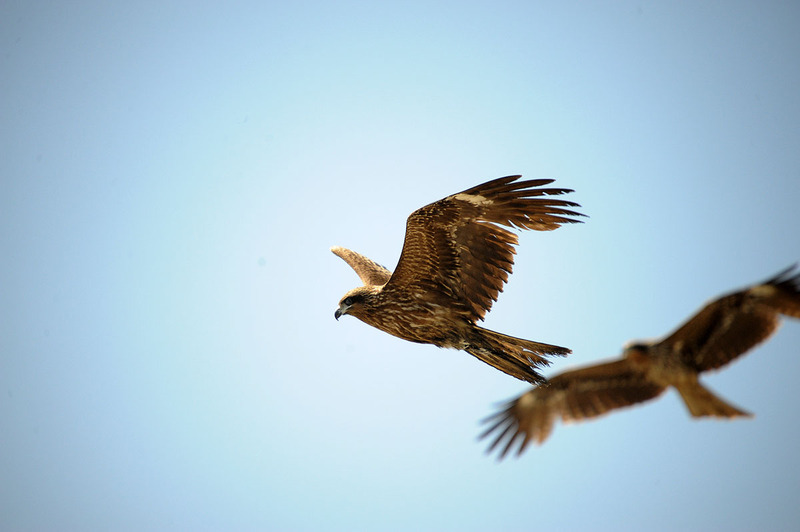 I used a 500mm telescopic lens on my D700 full frame DSLR. Out of the corner of my eye I noticed one particular bird (out of the 50 in the area) who was getting into attack mode, hovering silently over two men on the beach eating their lunches. Just as I swung the camera around with no time to refocus or change the exposure settings it swooped down. Now, one would imagine that such a huge bird would make a tremendous noise but these bird’s actually have feathers designed to soften any sounds or rush of air from the bird’s descent. Just look at the expressions of the man with the face to the camera, and the (non) movement of his hair from the rush of air. Amazing! Terribly sorry about the awful exposure settings, but an interesting series of snaps. Click on the photos for more details and a capture! Great image capture! In a sudden situation like that, any image you can get is a great one! SO CUTE! >_< I love the last picture with its feet tucked up so neatly! It’s hard to believe the men didn’t jump back when it passed between them, and I don’t see the trail of meat you mention in the last photo (maybe you cropped it). But the next pictures are fabulous! The eyes, feet and feathers of the birds have superb detail! Hi Sophie, sorry for the late reply. Yes, those birds are unbelievably swift! The trail of meat can be seen if you click on the 4 image series image file and focus on the last of the four images, just to the bottom right there is a trail of meat crumbs. It’s hard to see but you’ll find it if you look carefully! (^-^) Thanks for the kind compliments! wow that crazy! right in between the two guys!? wow…just wow. haha I’m dumbfounded.